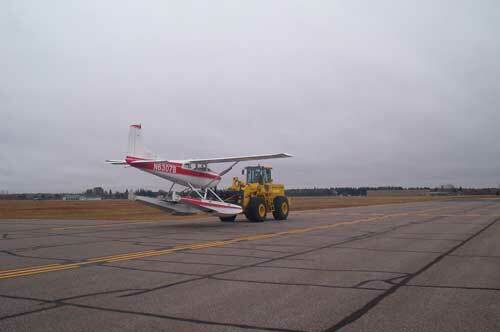 The Chisholm-Hibbing Airport Authority owns and operates the Range Regional Airport, Carey Lake Seaplane Base. The Range Regional Airport has an agreement with the City of Hibbing to allow floatplanes to operate from Carey Lake, located 3 miles North of the airport. The airport provides transportation service for floatplanes to and from Carey Lake for pilots who are based at the airport or for aircraft that require maintenance with TNT Airworks or painting services by Midwest Aircraft Refinishing. A minimal one-way fee of $50 is charged. 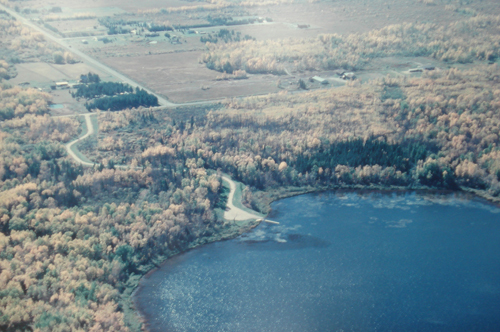 The following operating limitations for Carey Lake, Hibbing, Minnesota, are a part of the Carey Lake Seaplane Base License. Any person desiring to use Carey Lake Seaplane Base must hold at least a Private Pilot Certificate with a seaplane rating and shall obtain prior permission of the Range Regional Airport manager for each landing and takeoff at 218-262-3452. 24 hours advance notice is requested. Services available Monday - Friday from 8:30 AM to 3:30 PM. No operations are permitted during scheduled airline operations at the Range Regional Airport or when the Range Regional Airport is under Instrument Meteorological Conditions. The Carey Lake Seaplane Base shall not be used for air taxi operations and no training flights or multiple operations will be allowed at the Carey Lake Seaplane Base. 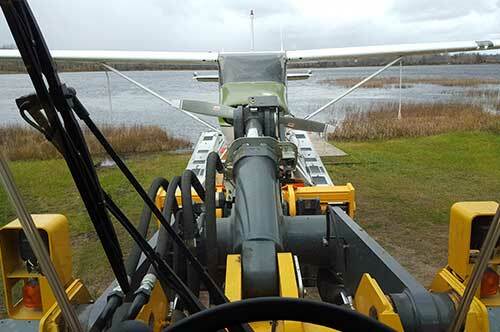 Aircraft refueling and aircraft maintenance services are not permitted at Carey Lake. These services must be performed at the airport. 1. 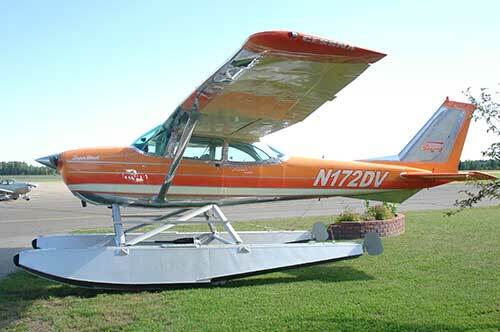 Seaplane traffic will monitor and make traffic call on the Range Regional Airport CTAF 123.00. 2. Aircraft landing at the airport shall have preference over seaplane base traffic. 3. Seaplane traffic shall fly a 500-foot AGL traffic pattern and avoid conflict with traffic landing at the Range Regional Airport. 4. Seaplane traffic departing to the South will make a left hand turn before Herman Road and remain north of the airport until safely clear of the airport traffic area. Effective immediately, there will be a transport fee of aircraft to/from the Range Regional Airport and Carey Lake Seaplane Base in order to recover CHAA employee time and equipment expenses. Tenants directly leasing from the CHAA will continue to receive one in/out (round trip) transport per year at no charge. Additional transports, transports for aircraft owners subleasing from other airport tenants, and transient aircraft owners/operators not leasing directly from the CHAA will be charged $50.00 one way ($100.00 round trip). Payment to the CHAA will be made at the Hibbing Fueling Facility upon arrival or prior to departure. The aircraft transport service is available by contacting the CHAA at 218-262-3452. Normal operating hours are Monday-Friday 8:00 AM to 4:30 PM. Special arrangement for weekends / after normal operating hours may be made, additional charges may apply.